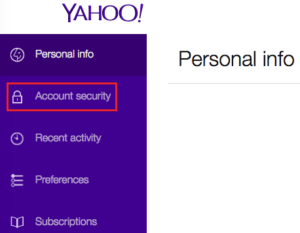 Reset Yahoo Password – Just in 6 steps! 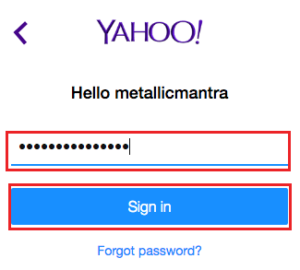 Need to reset Yahoo Password? 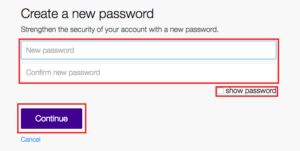 Want to know how you can reset Yahoo Password. 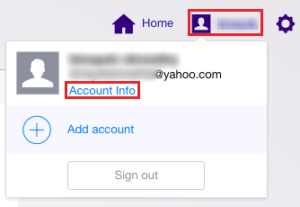 In this page we have step-by-step process on how you can reset Yahoo password. All you need to do is follow each and every step and in end you will be able to reset Yahoo Password. Open a new – window so that you can do the step-by-step process on a new window and at the same time look at the steps from this page. Also make sure you resize the windows to fit your screen. Now you’ll have first do is ‘Sign in’ to your Yahoo account. On the address bar of your new window type-in yahoo.com. 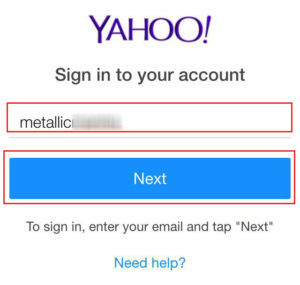 Enter your Yahoo email password and click on ‘Sign in’ to go to your mailbox page. If you don’t see your mailbox page you can click on the Mail Icon to go to your mailbox. On the top right hand side corner of the page you will see Home, your username and round nut which is settings. Click on your username and click on the ‘Account info’. Please check the image below for reference. New window tab will automatically loads up showing you your Yahoo personal info page. On the ‘Left hand side of the page’ you have tabs like ‘Personal info’, ‘Account security’, ‘Recent activity’, ‘Preferences’ & Subscriptions, all you need to do is click on ‘Account security’. On the new page that loads up where you’ll have to enter your new password and retype the same new password. If you get confused on what you have type-in as your password you can click on the ‘show password’ to see. 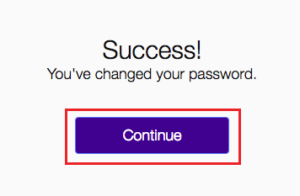 Once done, click on ‘Continue’ to finalize your reset Yahoo password. Click on ‘Continue’ again on the ‘Success!’ page. You have finally managed to reset Yahoo password. Congratulations! You’ll also receive an email in your mailbox that you have changed your password.